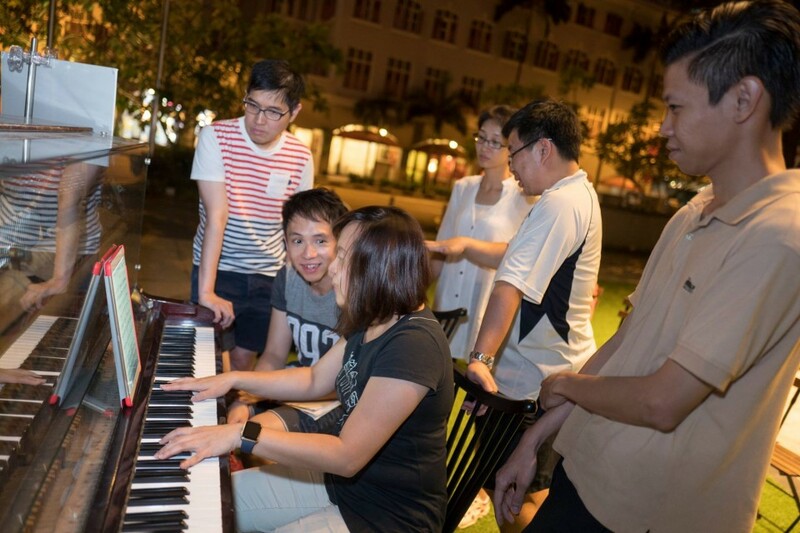 Pianovers Meetups are a weekly occurance, catered to the piano lovers, or Pianovers, in Singapore. 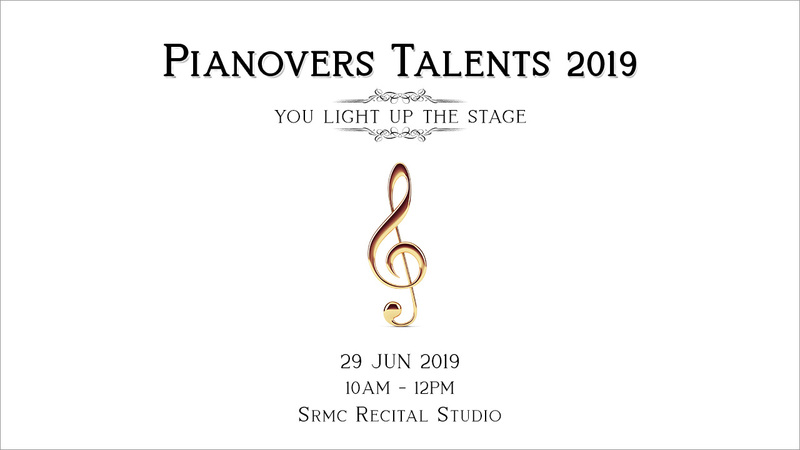 Organised by ThePiano.SG and happening at the URA Centre every Sunday evening, it has become an event that Pianovers have been looking forward to. 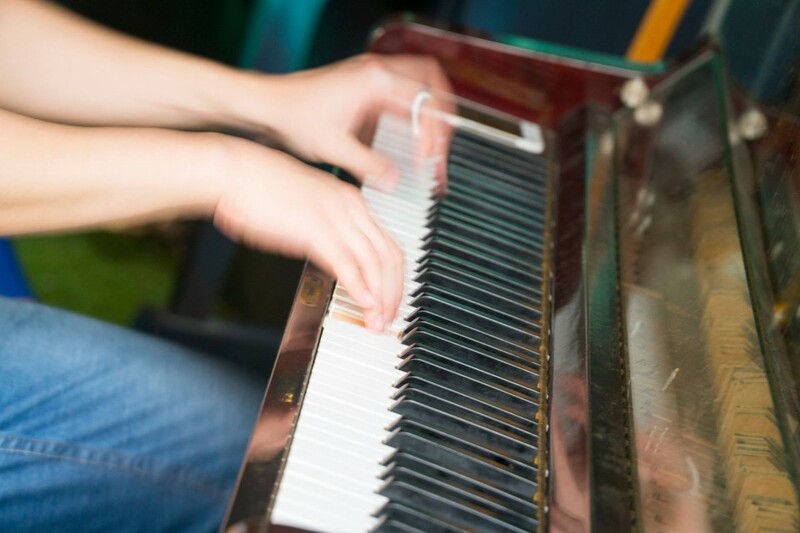 Whether they are young or old, experienced or novice, these music lovers have one thing in common – to get together every weekend, to bond, to experience music and to play music. It was 25 September 2016 and the ninth Pianovers Meetup was about to begin. The two upright pianos, lovingly refurbished and placed at the building foyer were on standby, ready to be used. Slowly, people started to filter into the premises. 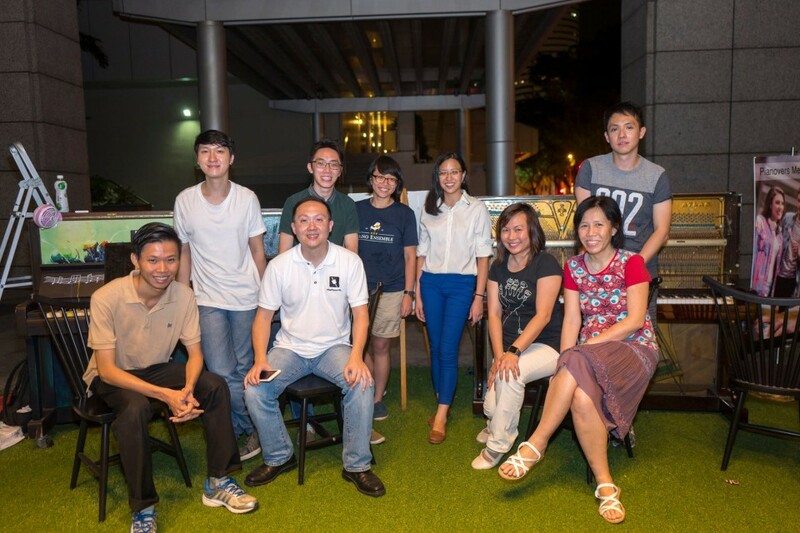 Chng Jiahui, an alumni of NUS Piano Ensemble (NUSPE), and a teacher listed in ThePiano.SG, joined the Meetup for the first time. 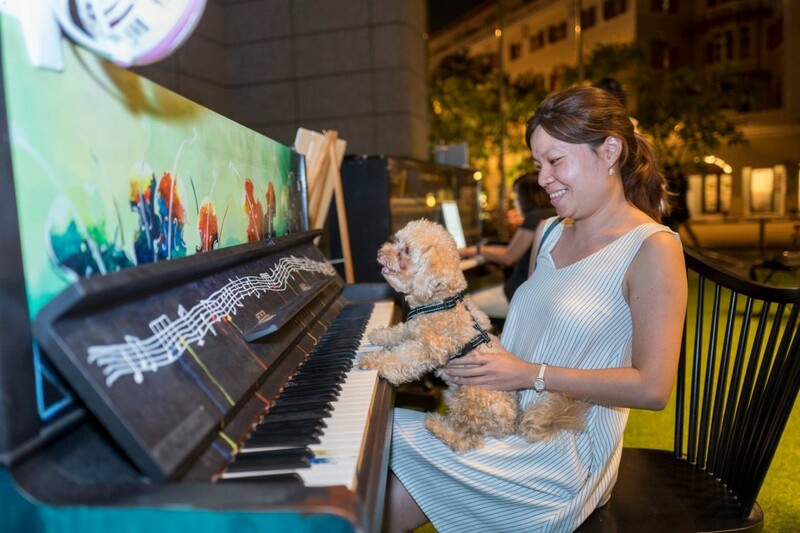 She was joined, albeit unknowingly, by her friend Tabitha Gan, from Singapore Management University (SMU) Piano Ensemble - Ivory Keys, who was pleasantly surprised to find Jiahui in the gathering. The pair could be seen catching up with each other in earnest. Soon, the event went into full swing. 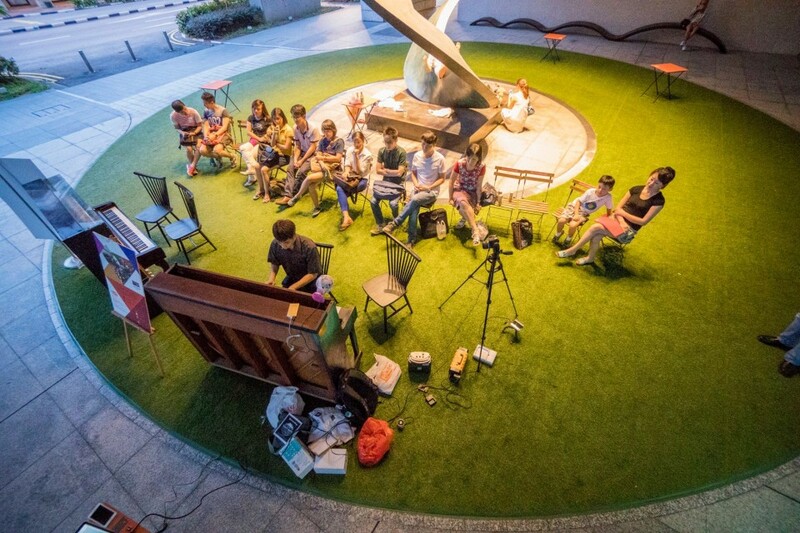 For the second time in Pianover Meetup’s history, spectacular overhead views of the gathering were captured. Among the familiar faces seen was Jimmy Chong, who, by now, had garnered a reputation for playing jazzy pieces. This time, he played "Fly Me To The Moon", which had an unmistable jazzy undertone. Ong, who is also a regular, performed two pieces this week, Nocturne in E flat Op. 9 No. 2 and Nocturne in F minor Op. 55 No. 1. 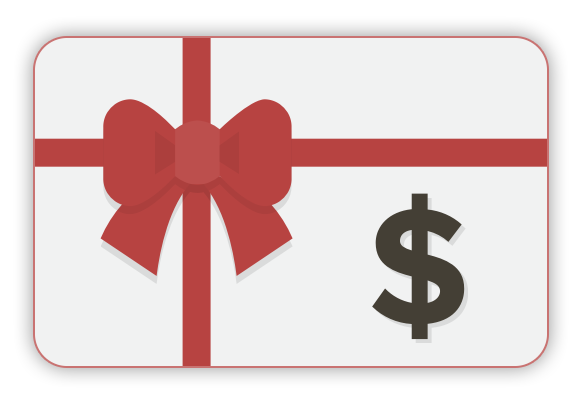 Every week, there is a segment for registered players. In a nutshell, this is a segment where players play tunes that they have registered prior to the event. 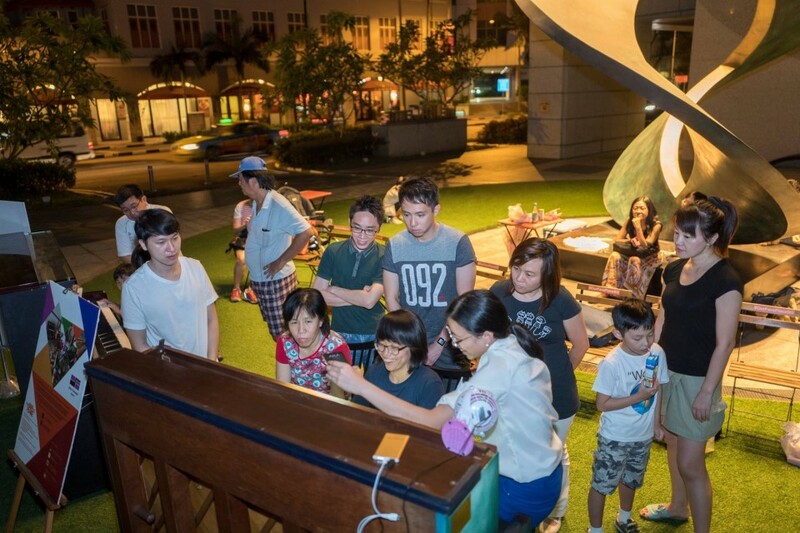 As one can imagine, this is a popular segment, as players get their guaranteed slots on the piano, playing to an attentive audience. It is a recital of sorts! 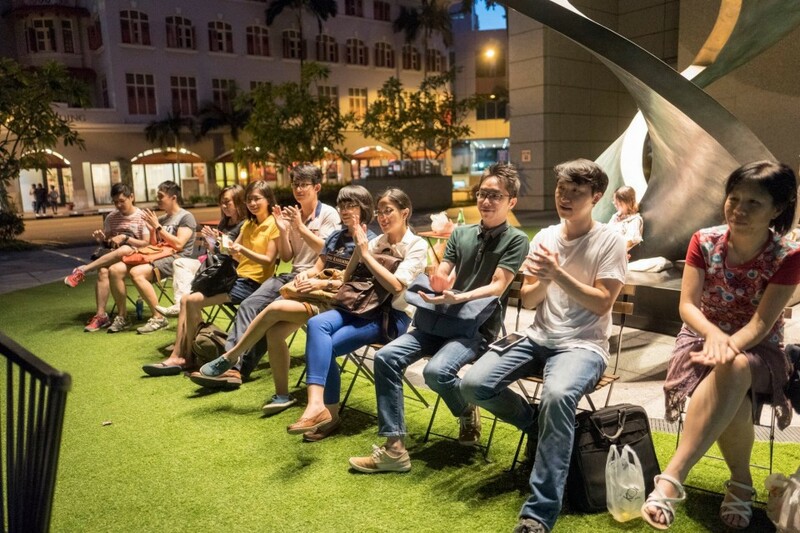 Regular attendee Stormie Chan finally took to the stage during this week’s “registered players” segment, delighting the audience with a 四手聯彈 (four-hand play, where the players cross each other’s hands), together with Yong Meng. This was a duet from Jay Chou's movie - The Secret (不能說的秘密). In the movie, this piece was performed by Ye Xianglun (played by Jay Chou) and Lu Xiaoyu (played by Gwei Lun-mei). Among the newer Pianovers attendees were Wenqing and Gerald. They had attended the previous session and loved it so much that they returned this week to relive the wonderful experience. 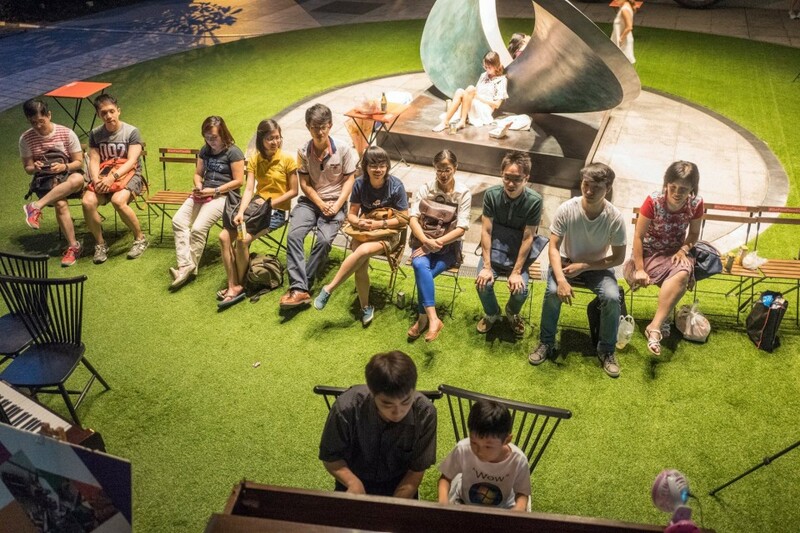 Barrick Wong, who had also attended the previous week’s gathering but had been too shy to play, was finally persuaded by Ong to play this evening. Barrick’s choice of music was Fur Elise, a famous composition from Baroque composer Beethoven. There were some new faces today, too. Winnie Tsin and Li Zhijing dropped by and although they did not play, they stayed to enjoy the music performed by others. Newcomer Jiahui’s passion for music was evident when she played during the open session, and those present could certainly see the unmistakable joy in her eyes. Tabitha, Jiahui’s fellow alumnus from NUSPE, assisted by illuminating the score with her mobile phone’s light. Tabitha certainly played no small role, doubling as a meticulous page turner and ensuring that her friend would not miss a single page! There was no mistaking the casual mood this evening. The people were relaxed and could be seen socialising and chatting in groups. Even the group photo portrayed a more informal pose! Needless to say, the passionate Pianovers stayed on to play even after the URA Centre’s lights were switched off at 9pm. 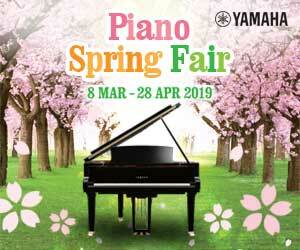 If you have yet to visit us at Pianovers Meetups, see you there this Sunday! For me, I guess the general reason for using social media is that the connection I have with people who are interested in my music is extremely important to me. That connection is like the pillar in everything I do. I want to embrace that connection and make it stronger.